Fritz Coleman has always been a most stalwart friend to The Salvation Army. He freely gives his time, talent and treasure enriching many a Salvation Army event whether by hosting a charitable golf tournament or MC duties at countless Salvation Army functions and galas. Fritz Coleman is NBC4 Southern California’s beloved weathercaster for NBC4 News at 4, 5, 6 and 11 p.m. He joined NBC4 in 1982 as the weekend weathercaster and two years later moved to weekdays, where he has been part of the longest-running evening news team with legendary journalists Chuck Henry, Colleen Williams and Fred Roggin. A Southern California broadcasting icon, he is renowned in the region for his extensive knowledge of weather, his sense of humor and affable personality. Fritz is the cornerstone of the NBC4 Weather Team that recently won two Los Angeles Area Emmy Awards for the station’s specials, El Nino: Currents of Change and Running Dry: California’s Historic Drought. He was honored by the Associated Press Television and Radio Association with the Stan Chambers Award for Extraordinary Achievement. 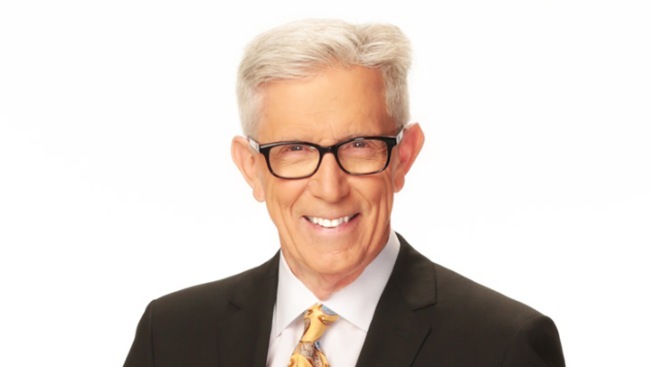 Fritz has received countless accolades over the last three decades, including “Best Weathercaster” by nearly every major newspaper in Southern California, including the Orange County Register and four times in the Los Angeles Daily News. In addition to his celebrated broadcast career, Fritz is well-known for giving his time to numerous charitable activities, and hosts hundreds of local events to raise awareness for services that benefit underserved communities. His involvement in NBC4’s goodwill initiatives has been the foundation to the success of the station’s community outreach, including Fritz’s Holiday Lights which spotlighted festive neighborhoods lit up for the holiday season. His role in NBC4’s Wishing Tree continues the seasonal tradition of spreading good cheer and generosity to many in need. Fritz is also featured as a proud example of the rewards of giving time with NBC4’s signature community program, I Am A Volunteer. His community work has been recognized by hundreds of prominent organizations, including a Humanitarian Award from the United States House of Representatives for his work with the American Red Cross, as well as honors by groups including the Salvation Army, Shelter Partnership and others. A long-time stand-up comic who regards Bob Hope and Johnny Carson as heroes, Fritz has done stand-up for decades at local comedy clubs. Fritz has appeared several times on the “The Tonight Show” with Johnny Carson and Jimmy Fallon. He had a number of series and specials that aired on NBC4 including “What a Week,” “It’s Fritz,” “Fritz and Friends” and “The Perils of Parenting.” He earned four Los Angeles Area Emmy Awards for his work. Born in Bryn Mawr, Pennsylvania, Fritz attended Salem College in West Virginia and Temple University in Philadelphia where he studied radio, television and film. He proudly served his country in the U.S. Navy. Fritz lives in the San Fernando Valley and has three children and two grandchildren.